Meet some of CUPE’s pension champions and guardians! 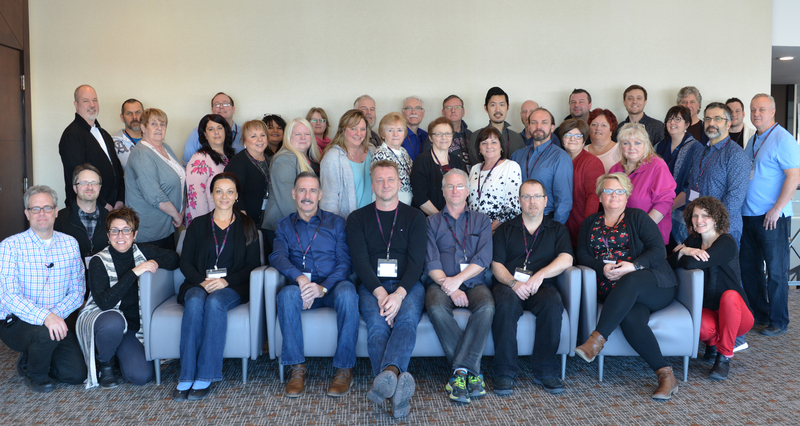 They took part in our union’s largest-ever training for pension trustees and pension advisory committee members, held in Ottawa from January 14 to 18. Workplace pensions are our members’ deferred wages. Many plans are under growing pressure from employers and some governments, including attacks on secure defined benefit pension plans, the threat of two-tier pensions, and cuts to benefits. Working with pension experts, participants explored their legal duties and their political power to protect strong pensions. The week-long training looked at how pension plans are governed, the rights and responsibilities of trustees and advisory committee members, and the strategies that work to safeguard our members’ retirement income. Members learned about investment issues, including what trustees and all CUPE members can do to keep our pension funds out of privatization. The training also equipped participants to think critically and ask the right questions about key issues, including how to measure a pension plan’s funding. Some employers use very conservative models that paint a terrible picture of a plan’s health. They then use these overly negative numbers to justify benefit cuts or the all-out dismantling of a good plan. But pension activists can push back. Members learned that small changes in how these calculations are designed can make a big difference, defusing employer demands for cuts. For more information, check out CUPE’s pension resources, and ask your Union Education representative about upcoming pension education opportunities.